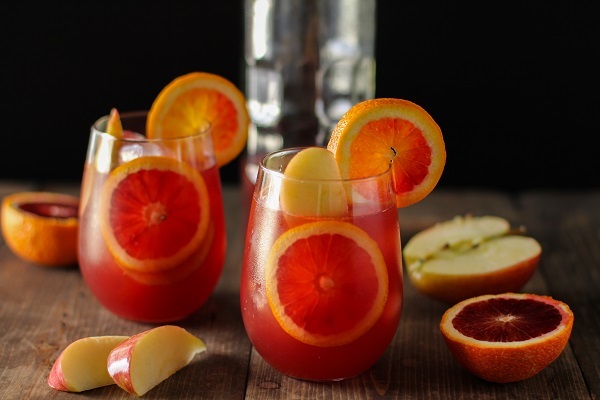 Winterize your sangria with The Roasted Root. Woke up on the punk side of the bed this morning, craving new music and a winter sangria with pomegranate, blood orange, and apple. February is short, make it count. Press play. Add the wine, apple cider, and juice to a large pitcher. Add the cinnamon sticks, chopped blood orange, and apple. Serve chilled. Note: cover and place in the refrigerator overnight for more citrusy-cinnamon-y flavor. Want more booze need more tunes? Find all of our Rock Out With Your Cocktail Out Playlists here.